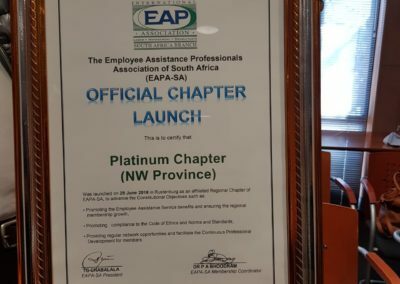 The recent launch of the Platinum Chapter on 29 June 2018 demonstrated the existence of EAPA-SA in all provinces of South Africa. 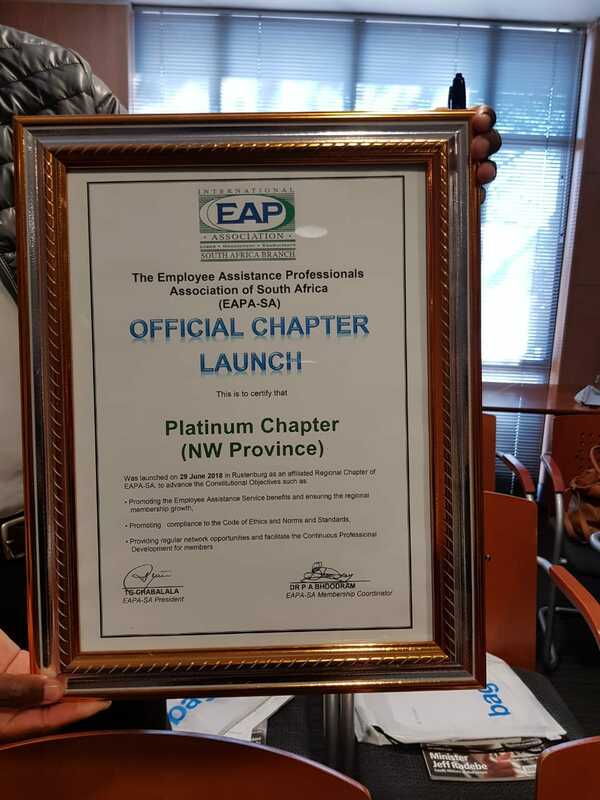 The launch of the Platinum Chapter automatically means increased membership and increased influence through its promotion of professional standards; EAP Code of Ethics and continuing professional develop in South Africa. It was very exciting to see the newly born chapter enjoying an overwhelming support and nurturing relationship from the North-West Provincial Administration through Office of the Premier which was represented by the Deputy Director General as a guest speaker. 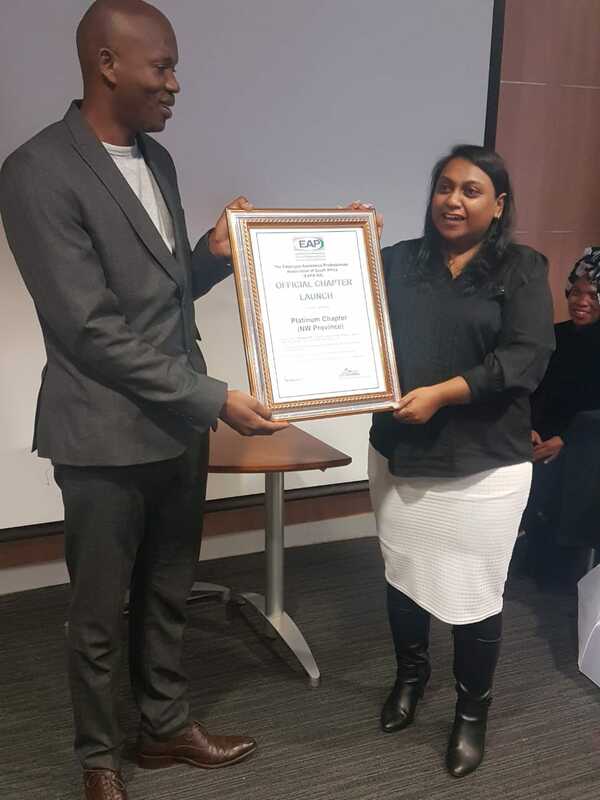 The Deputy Director General appreciated the launch of the Platinum Chapter and encouraged members to be up to date with the recent developments in their profession. 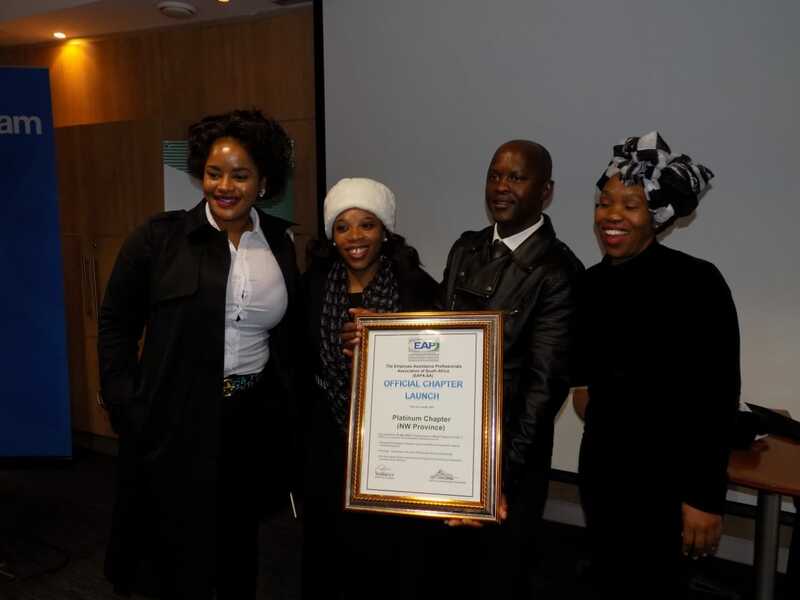 The launch was preceded by the Wellness workshop in partnership with Sanlam Sky on 13 June 2018. 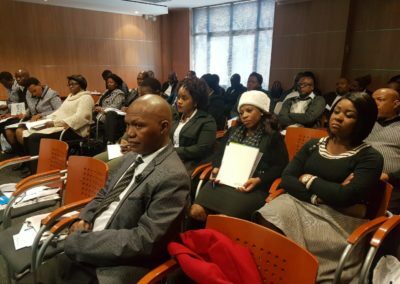 The workshop provided the opportunity to market EAPA-SA and the Platinum Chapter launch to other Practitioners in the mining and industrial sector around Rustenburg. 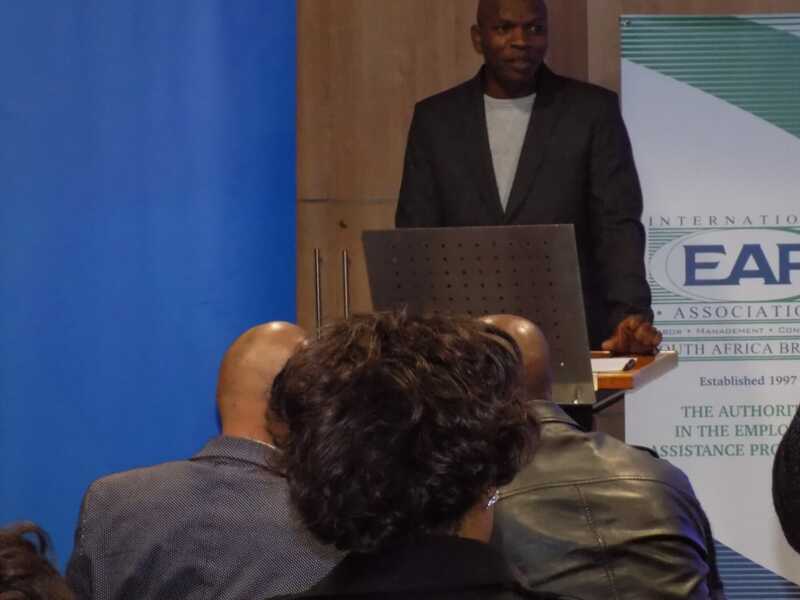 The presentation resulted in the increase of potential members data base. 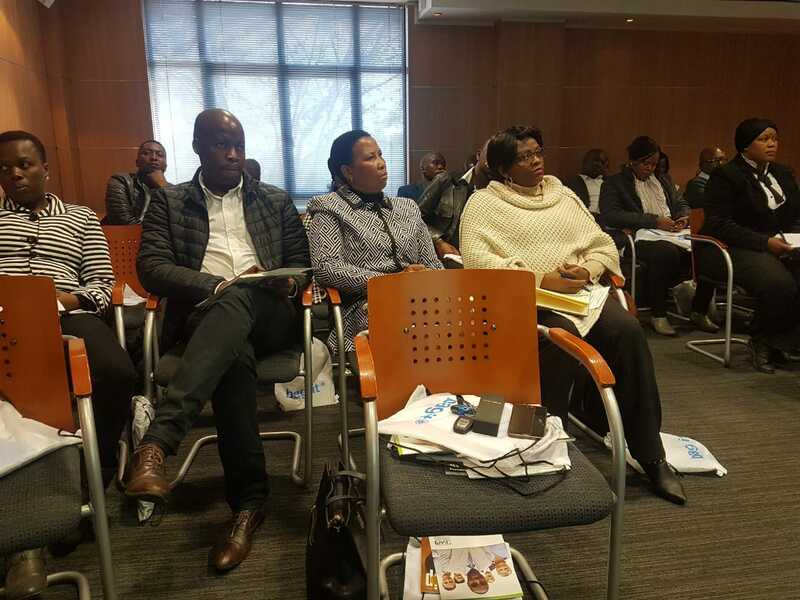 Since then, the Chapter has experienced the increased collection of membership, constant inquiries on membership and the upcoming EAPA-SA Eduweek. Watch this space, the Platinum Chapter on the highway of reaching its targeted 30 membership threshold by December 2018. 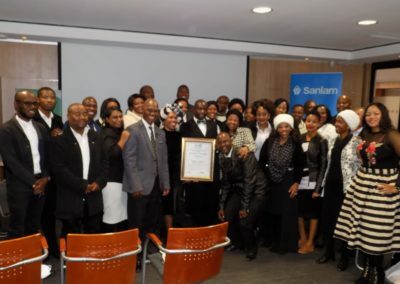 The partnership with Sanlam Sky comes in handy in the period of increased financial challenges for individuals due the prevailing economic climate. Sanlam Sky has committed to the Corporate Social Investment programmes of supporting Financial literacy in the workplace and the institutionalisation of “Active and Healthy Living in the Workplace” as advocated by President Ramaphosa in the New Dawn. 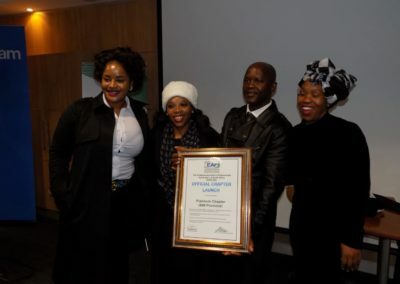 The partnership is an enabler to Wellness Practitioners to creatively implement programmes in the workplace. The Platinum Chapter will be hosting the Professional Development Workshop and AGM earmarked for the 23 August 2018. 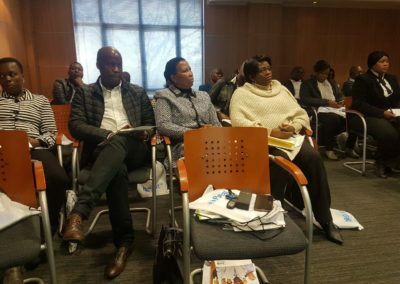 The objective is to consolidate the governance and administrative processes so as to strengthen the Chapter and once more to fulfil the basic objective of Continuous Professional Development. The workshop will rally around the theme “How to maximise the use of technology in the Wellness field”. 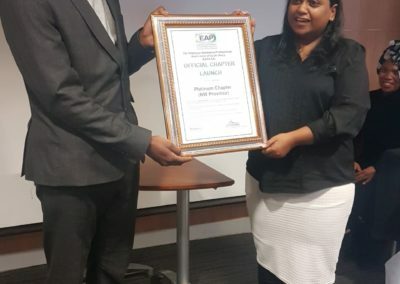 The Platinum Chapter greatly appreciates the support of the board which had been delegating the likes of The President, Dr Bhoodram, Andiswa, Marion and Radhi to facilitate processes in the North West Region.